Guarneri del Gesu Cremona, c1735 "Totenberg"
This magnificent violin had few owners during the 20th century. It was purchased in the 1890s from Carl Zach in Brno by a good amateur violinist, Siegfried Strakosch. He played the violin until his death in 1933 when it passed to his daughter. She had been a student in Vienna and fled the Nazis in March 1938. She lived in California for 20 years before returning to Vienna with her family. The violin was inherited by her son, Michael Schnitzler in 1959. Schnitzler was a highly accomplished violinist who was the concertmaster of the Vienna Symphony Orchestra as well as violinist of the Haydn Trio of Vienna, and first violinist of the Schnitzler Quartett. As soloist he performed with conductors such as Abbado, Giulini, Jochum and Sawallisch. The del Gesu was his constant partner until tragedy struck in 1976. Schnitzler was approached by a suave swindler from Darmstadt named Peschke who made him an offer that was too good to be true. The violin found its way to Japan and Peschke ultimately was sent to prison. The ownership of the violin was only resolved by a German lawyer in Japan who negotiated a settlement with the Tokyo dealer who had purchased the violin in good faith. In the late 1970s the violin was purchased by Jacques Francais in New York. In January 1981 he sold the del Gesu to Roman Totenberg who had only the previous year had his Stradivari stolen after a concert in Boston. Roman Totenberg performed well into his 90s and taught his last lesson the day before he died in 2012 aged 101. We sold the del Gesu later that year and it is now owned by a violinist and collector in Europe. The instrument was accompanied by the receipt from Carl Zach as well as certificates from Jacques Francais, Rare Violins of New York and J. & A. Beare, as well as a letter from Charles Beare. The “Totenberg” del Gesù bears a label dated 1736. Dendrochronology confirm that the wood for the top was cut between 1727 and 1729 and matches exactly to that of other del Gesù violins from the mid to late 1730s. 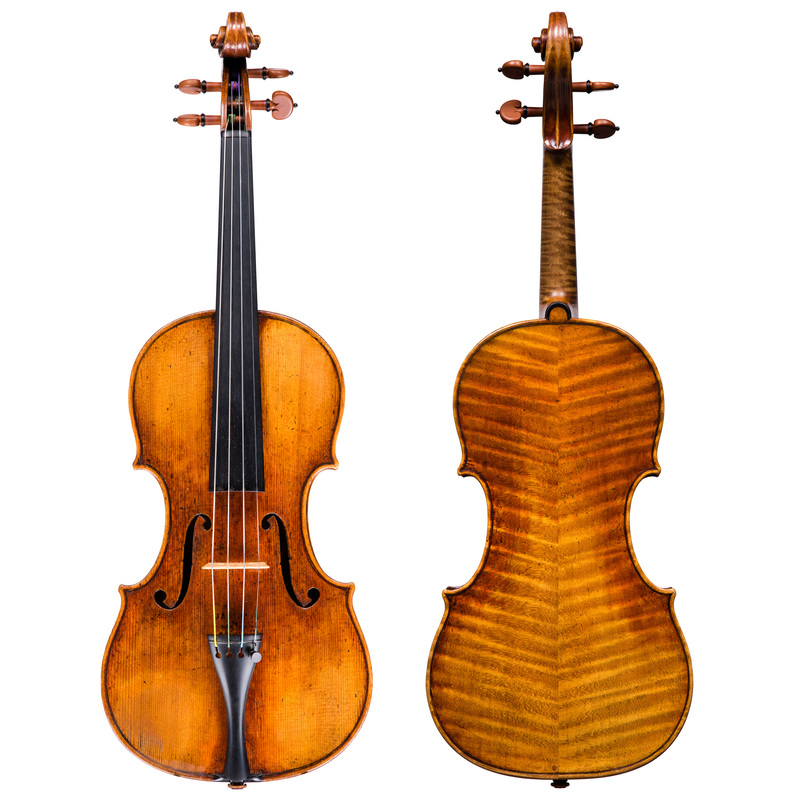 The model is similar to the “Kubelik, Rabin” del Gesu of 1735 played by Kyung-Wha Chung, and the back wood is identical to other violins including the “D’Egville” of 1735.